We want to tell as many people as possible about the Scienceogram, so we’re taking it on the road! The Scienceogram comes in a handy, pre-packaged talk format with a presentation, and can last anywhere from five minutes to an hour. 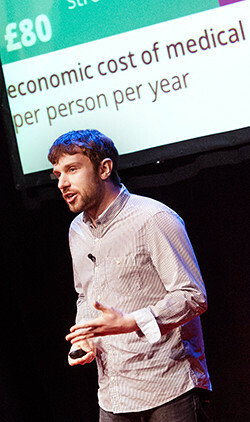 If you want to get a flavour of the Scienceogram talk, there’s a video of Andrew speaking about it at TEDxHull available to watch online.